Registration must be complete by 12PM on the Monday before the event in order to be considered pre-reg. 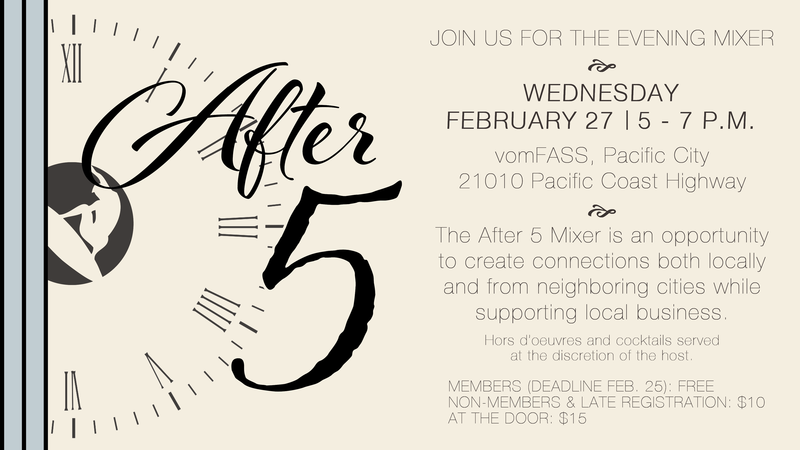 The After 5 Mixer is an opportunity to build your network while supporting local business. Create connections with other Chamber members, from Huntington Beach and neighboring city Chambers. This event will be held on the 4th Wednesday of each month. Locations will vary per month.